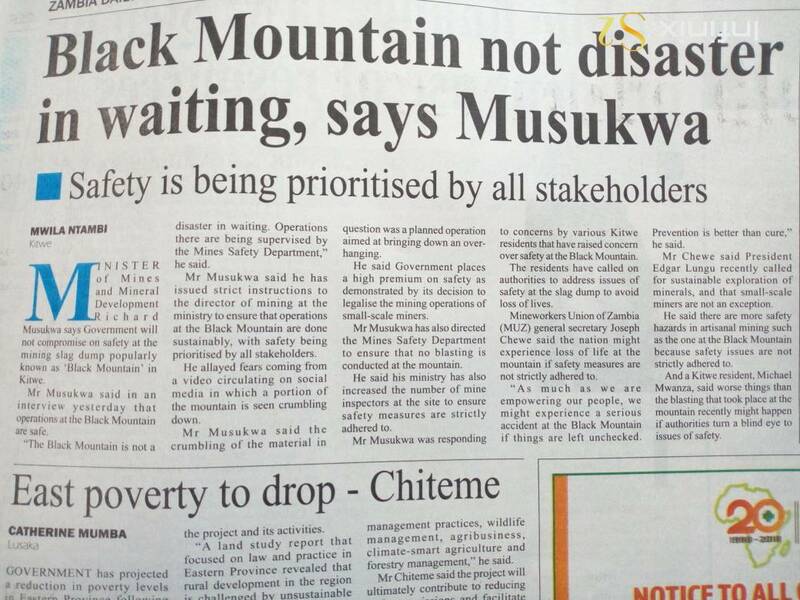 Speaker of the National Assembly Patrick Matibini has ordered Minister of Mines Richard Musukwa to deliver an urgent ministerial statement on the Black Mountain tragedy in Kitwe. This follows the demand by leader of the Opposition in Parliament , Jack Mwiimbu. Police issued a preliminary statement shortly after the tragedy that 10 youths were killed and 7 were injured and hospitalised. Government immediately suspended all mining activities at the site. But social media is abuzz with tragedy numbers. Reports from Kitwe show that the death toll has risen to 17 and 50 are feared missing. The Copper and Cobalt slug dump has been mined without basic mining safety features. There are no records or details of workers and the number of those unaccounted for remain unknown. The place daily attracts gang leaders, workers and scavengers. The gang of youths is controlled by infamous and contravesrsial small scale miner, Shawi Fawaz who formed a cooperative called Chapamo Mineral Processing specifically formed to strip the mountain. The place has now been sealed-off and experts from the nearby mines, soldiers and fire brigade are on site to help with the “rescue effort”.